Marketing is no mystery. You can bore, or you can go full bore. It’s that simple. And at GoGORILLA Media, we opt for the latter … in different and engaging ways. You’re looking for a different approach to marketing. You want real, measurable results that don't cost a lot of money, and it seems that traditional marketing methods are losing their sway. You need guerrilla marketing. This approach to delivering your message entails a combination of unexpected techniques and high-voltage personality that will get your brand noticed. GoGORILLA Media is a standout among guerrilla marketing companies, with 25 years of experience getting results for brands with our passionate devotion to new ways of engaging your target audience. Guerrilla marketing reaches your customers in a time and place when they aren't expecting a marketing message. This vulnerability creates openness. When your product surprises and delights your audience, a powerful first impression of your brand is formed. We love developing innovative guerrilla marketing techniques for our clients. 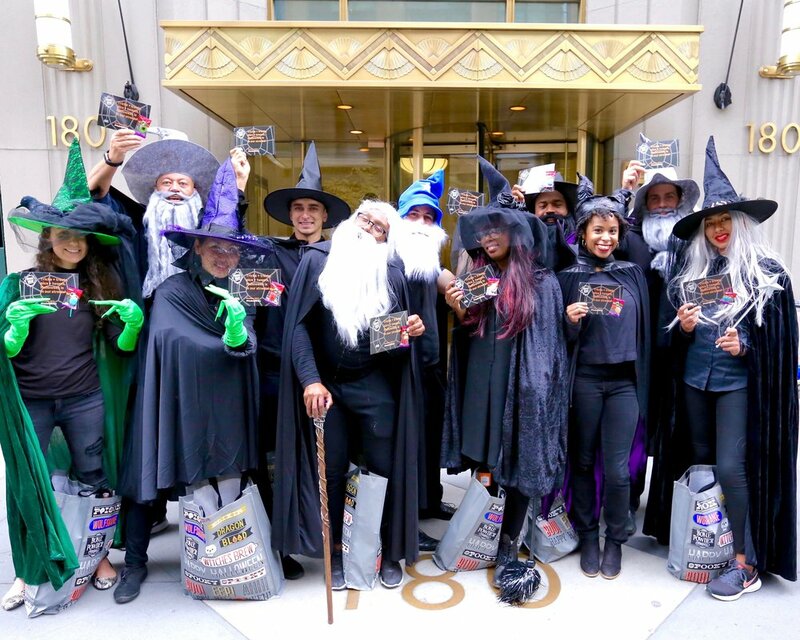 We offer street team, person-to-person and venue-driven guerrilla marketing campaigns. We are the go-to company for sidewalk media. We also offer large and small format poster, door media and projections. Venue-based advertising puts your product in front of your target audience - as in DIRECTLY in front of them. The impressions we create aren’t fleeting. We market in a way that existing and future customers will remember. With unique events, we’ll inspire participants to share content on social media, turning word-of-mouth marketing into an epidemic. Experiential events are great opportunities for you to take videos or pictures that can be included in your company’s future marketing materials. We've got a 25-year history, with more than 25,000 campaigns in more than 50 markets. We may think outside the box and cost less than traditional marketing campaigns, but don't get confused — we offer our clients instant access to the venues they want, paired with the most effective media strategy to get their message across within their budgets. Whether you're seeking surgical precision to target an exclusive audience or want to get your brand noticed by as many people as possible, rely on us. We know when to take a step back (not off the cliff!) and think strategically about the best options to share your message. We offer the most enthusiastic and upbeat team for street promotions because we know that personality and zest make all the difference in guerrilla marketing. Our company motto is “brains plus boldness equals breakthrough.” This means we're never afraid to look foolish in pursuit of what could be the next great campaign idea or genius message. If you don't see something that works for your brand, let's discuss how to customize our services for your needs! Stop wishing for results and let our talented teams work to make it happen for your brand. 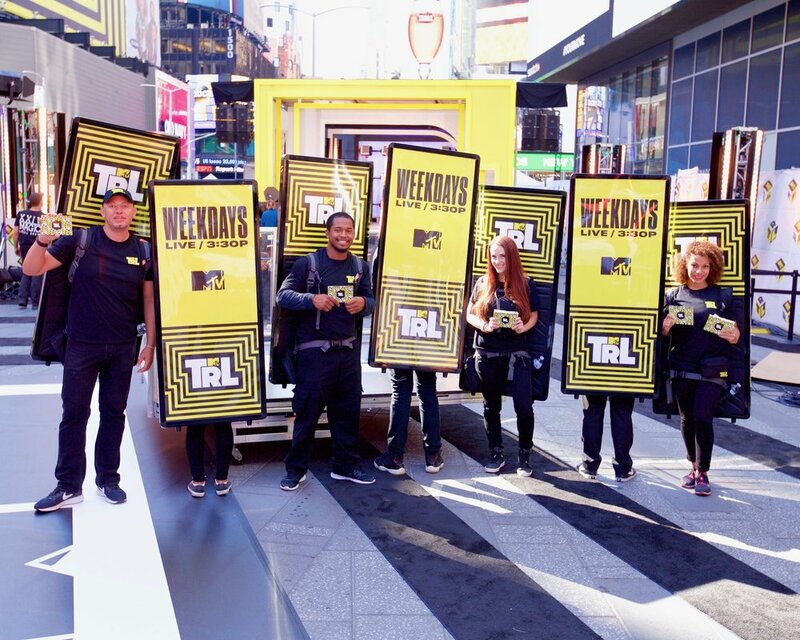 Whether it's sidewalk media, barware or street teams, let's talk about what you want and how we can deliver results that go beyond your expectations. Contact us today.